Discussion in 'Miscellaneous in Parenting' started by anika987, Mar 17, 2019. I had a similar situation. When my daughter was in first grade, her art teacher asked her to draw people. My daughter color them all white but her teacher asked her to use colors but she refused. She said if I color them brown or black, they have to stand up in the bus. Her teacher was a bit upset and talked to my daughter's class teacher. But her class teacher knew that she read a book about Rosa Parks and she was talking about that. Kids will mouth such statements , because, deny all we may want , but we do live in such a society. When there is an overkill of fairness in all commercial or ow things related to beauty, they will catch on the vibe of the society. If you want her to imbibe the really 'fair' thoughts ( meaning 'just' for justice here ), you need to inculcate it in the small things you do with her. This should not be in context of a dialogue on her statements but out of it , like when appreciating a dress/ attire modelled by a person of color. More importantly, one needs to put kids in areas of interest which are not limited to only traditional gender centric hobbies. Like encouraging kids to write and come up with creative pieces would send them on the trail of discovering good writing and good authors, which would result in appreciation of skills other than being fair and beautiful. Those things and interests should veer the child towards other pursuits and away from only notional concepts of beauty! Parents have to emulate the behaviour they seek of their children, because whatever we want we need to do it. As parents we teach children to be race and color-blind - *by* treating people of all colors fairly and kindly. But this "silence" or "avoidance" of being explicit - is not enough and not helping - in particular when we don't say anything when we see a person of a different color or race from us. If you're a light skinned household, and you meet someone of a darker skin shade - don't ignore it. You might notice your young child looking longer - wheels in their mind are spinning. The child is left wondering - this person is so different from me/us - with so many unanswered questions. So the first thing they hear from media/peers about this difference - they take that as the defining truth. Because we as parents hesitate to catch that teaching moment. And as adults we know that there is a high probability that a lot of media/peer's based info is biased - so if we left it to community - the first thing they'll hear is negative. Jump on the opportunity to get some books, stories about skin color, the science and culture and start the conversation with your child - it might lead to unpleasant moments - but it is better NOW and with YOU - than with anyone else who may bias your child wrongly. I decided to look for the article again..and found this. Buzzfeed is a terrible place to get parenting ideas from: But I think this buzzfeed article is paraphrasing the original long form article I was referring to. It is fully about race in the North Amercan context - but it very applies to how skin color is associated with caste/beauty/cultural heritage in India. ano, Afresh, Rihana and 1 other person like this. I think I have quite different opinion here. To me, it’s a perfect opportunity to talk about differences in skin color and make the child understand that we all might look different but we are beautiful in our own way. Diversity is a wonderful thing. We are a mixed race household and have friends from other Asian countries as well as black. My son (7 years) sometimes brings up skin color and we talk about it just like any other questions/statements. In fact he has said multiple times that he likes my brown color. In his words, “mommy, I like you brown, you look pretty. Why aren’t daddy, sister, and I brown?”. Gives me a perfect opportunity to tell that I am from India and people from warmer countries tend to be darker. Now he is old enough to understand the scientific reason and race. ano, startinganew, cheenu123 and 1 other person like this. This is a beautiful response with the concept being communicated. @nuss ... I love your response , and it is not different from what others are communicating. Given your household being a mixed race one, your son gets an opportunity to accept everyone as the same and also viewing diversity as a usual phenomenon. This is what everyone should achieve ideally, but given our environments, to ingrain these views require more effort. But yes, i totally understand that when parents imbibe diversity as a positive factor, it would suitably get imprinted on the young minds too.. Thank you @Afresh. I personally don’t believe in a color blind society. I believe in inclusive society where we all are welcome despite the skin color. ano and Afresh like this. 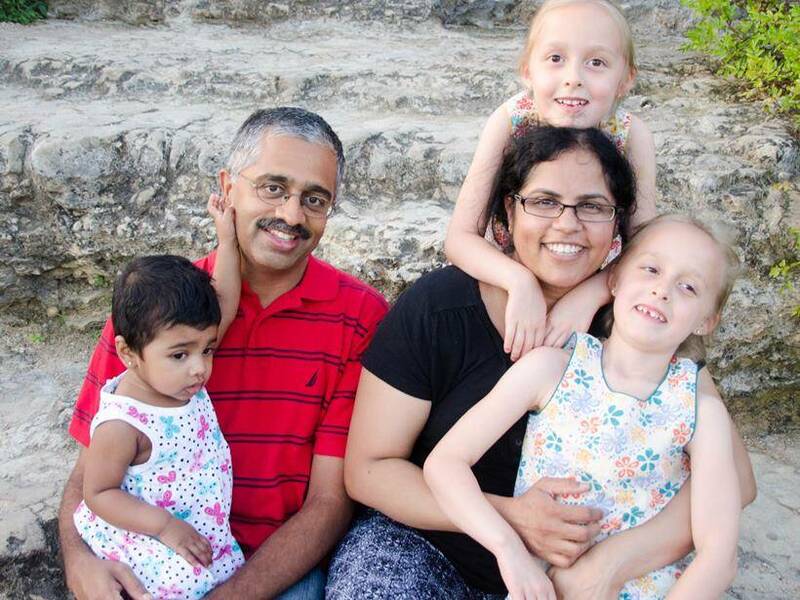 I bet some of you already know this couple (Lakshmi and her husband), indian parents who have adopted twin girls, and have a biological child of their own. She has some interesting stories in her blog, including people in shopping centers mistaking her for a nanny of her fair-skinned daughters. Afresh, startinganew and Anusha2917 like this. When adults talk and think children are busy doing their own things, that is not true. Children listen to everything and sometimes internalize things which can have serious impact later in their lives. Afresh and startinganew like this. Very true , I have seen many adults talk negatively with a lament about tannned skin , so regularly making a big deal about getting a bit tanned .They get upset about tanning if the child went and played some sport . Sunlight and sports is very much required and fear of tanning should not prevent their development .We don't realise how it might affect a young dark skin child hearing and absorbing , and how it affects her self esteem to hear as if a tan is a terrible thing . I personally feel tanned skin is beautiful and healthy , as are all shafes of skin. We should protect our impressionable little children from these negativity as it can give them complex and affect them in many many ways .